This is the time to conduct a year-end analysis to help plan for 2019. Here are some basic metrics to analyze, to see what worked and what didn’t. 2018 Sales Growth Rate = (2018 Sales – 2017 Sales) / 2017 Sales. Growth by product or product type. This will tell you which products are becoming more popular (to focus on) and which products are struggling (for marketing support). Customer segments. Depending on your business, you may want to analyze customers by geographical region, age, gender, and so on. This will help identify segments for upcoming marketing efforts. Overall profit. Calculate the year-over-year growth rate, as described in “Overall sales,” above. Profit margin per product. Calculating your profit margin per product is essential. 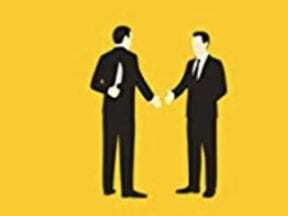 It’s important that sales and marketing personnel are aware of the margins of each product. Depending on the business, margins can be similar across all products, or much different. Marketing expenditures. What marketing costs increased or decreased? Knowing this will help set current year budgets. For example, if the cost per click for Google Ads is increasing, your current year budget should reflect the elevated costs — or the money could be diverted to other marketing channels. Top marketing channels. This is a key metric. Which channels generated the most traffic or leads? Which had the best conversion rate? And which produced the most profits? Social media posts. This can be, for example, the total number of likes on Instagram, the number retweets on Twitter, and the number of shares on Facebook. This will help identify important topics and channels. You may be already reviewing social media performance weekly or monthly. But looking at it for the entire year can provide bigger picture. Popular pages and blog posts. 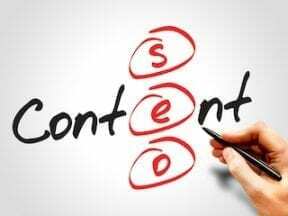 Looking at your most popular blog posts and web pages can help set content strategy for 2019. You can identify trends, such as blog posts with videos may produce more page views. Popular products. What were your top five products in 2018 in terms of sales and profit? Where they the same as in the previous years? Are consumer preferences changing? Growth. How many new email subscribers were added in 2018? How did it compare to 2017? Unsubscribes. What was the email unsubscribe rate in 2018? If the rate increased, should you change the frequency of emails or the content? Bounces. If the email bounce rate increased in 2018, your list might be outdated. If the number new subscribers does not cover the number of unsubscribes and bounces, you may need to emphasize new subscriber strategies for 2019. Updating the list with data appends and other verification efforts can help reduces bounces. Competitors. Benchmark your company’s activities to your competitors. For example, did they deploy emails weekly while deployed twice a week? Did they gain more Instagram followers? Did their website traffic improve while yours declined? What products did they promote the most? What were their Black Friday and Cyber Monday sales tactics? All of this can help identify trends and successful strategies without having to test them. Missing data. While conducting a year-end analysis, you may realize you are missing critical data. This could include, for example, customer household income, which is key for segmentation. Or missing data from marketing channels to determine their performance. Perhaps you have duplicates in your database and therefore cannot tell if the company added new customers. Fix these shortcomings now to improve the current year analysis. You can acquire third-party data such as gender, household income, and so on. Obtain the missing marketing data from partners and channels. Cleanse your customer database now. Prior year budget. Were 2018 budgets met? Are costs growing in 2019? These factors and more influence this year’s budget. Detailed marketing budgets. Split by profitable versus unprofitable channels. Add increases in costs due to inflation, competition, and testing. Sales projections. For enterprise businesses, this can mean looking beyond 2019.